The Ontario Volleyball Association is proud to announce that the Respect in Sport Parent Program will be effective for the 2017-2018 season. to recognize signs of BAHD and eliminate it from our sport, through a global culture of respect. special OVA promotion). Learn where that money goes by reading our Frequently Asked Questions. the Respect In Sport mobile app after you have initialized your profile through the website above. At least one parent or guardian of each player registered in OVA volleyball is required to complete the Respect In Sport Program by March 15, 2018. Completion of the program is a condition of participation in Ontario Championships. 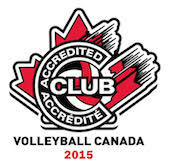 To register and complete the course, visit https://ontvolleyballparent.respectgroupinc.com/start.jsp.